Kurt W. Mortensen is one of Americaâ€™s leading authorities on persuasion, motivation and influence. Kurt spent 15 years researching personal development and motivational psychology and is currently a professor on the university level. He offers his speaking, training, and consulting programs nationwide, helping thousands achieve unprecedented success in business and personal endeavors. Kurt is author ofÂ Maximum Influence, an Amazon.com bestseller and is endorsed by Stephen R. Covey, Brian Tracy, Robert Allen, and Mark Victor Hansen. 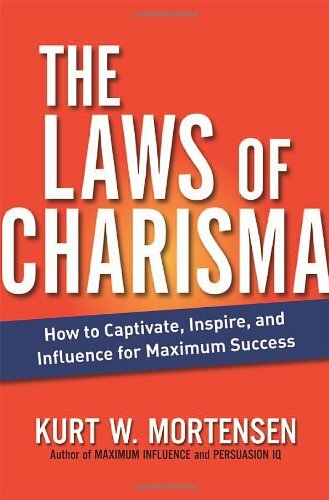 His latest book is ‘The Laws of Charisma‘.